Optimizing surveillance for livestock disease spreading through animal movements. ISI Foundation Newsletter, June 2012. Health officials ponder how to fight stowaway microbes. The National (UAE national newspaper), January 3, 2010. People interact. They travel. And diseases might travel with them. Airneth, Worldwide scientific network for aviation research and policy, September 2009. Tutte le trame del mondo. V. Colizza, A. Vespignani & E. Hardy, Impact of Air Travel on Global Spread of Infectious Diseases, Places & Spaces: Mapping Science Exhibition, http://www.scimaps.org, 2007 exhibit: The Power of Forecasts. 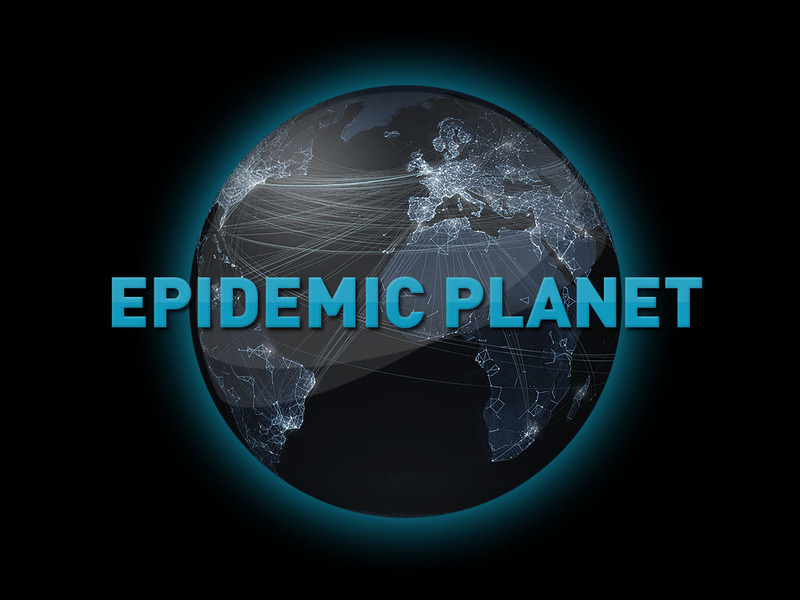 geographic and infection features, and intervention scenarios on a pandemic, simulated using GLEaM, the GLobal Epidemic and Mobility model. * The Endinburgh International Science Festival, April 3-17, 2010. * Science beyond Fiction: An Excursion into Future and Emerging Technologies, European Parliament, Strasbourg, France, April 2010. * CosmoCaixa Mòbil Tecnorevolución, Spain, September 2010. * International Conference for High Performance Computing, Networking, Storage and Analysis, SC10, New Orleans, Louisiana, November 13-19, 2010. * CosmoCaixa Barcelona, March 2012 - February 2013. * Beautiful Science Exhibit, British Library of London, February-May 2014. Do you want to engage your public at your next scientific exhibition? Do you want to present how infectious diseases can be modeled and how new technology can be used for this purpose? Check out this document for more details and contact us! Tutorials and science dissemination lectures. Talk for the Young Scientist Award 2013, assigned by the German Physical Society, March 11, 2013. See more at: http://www.dpg-physik.de/dpg/gliederung/fv/soe/index.html?print=true& and in the news. 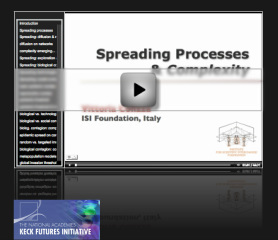 Invited tutorial on Spreading Processes & Complexity at the National Academies Keck Futures Initiative 2008 on Complex Systems. The tutorial was webcasted on Sept 24, 2008 - here you can also find the Q&A session following the webcast. Science dissemination lecture titled The new plagues fly low cost at GiovediScienza (Science-on-Thursday), a weekly event held in Turin, Italy, aimed at opening the science world to the general public. An extract in English is also available.